“Now it is our turn to modernise our city,” so says my guide as we approach the old part of Bukhara. She urged me to return again in another 5-7 years, by which time she promises everything will be new and in “Uzbek style”. 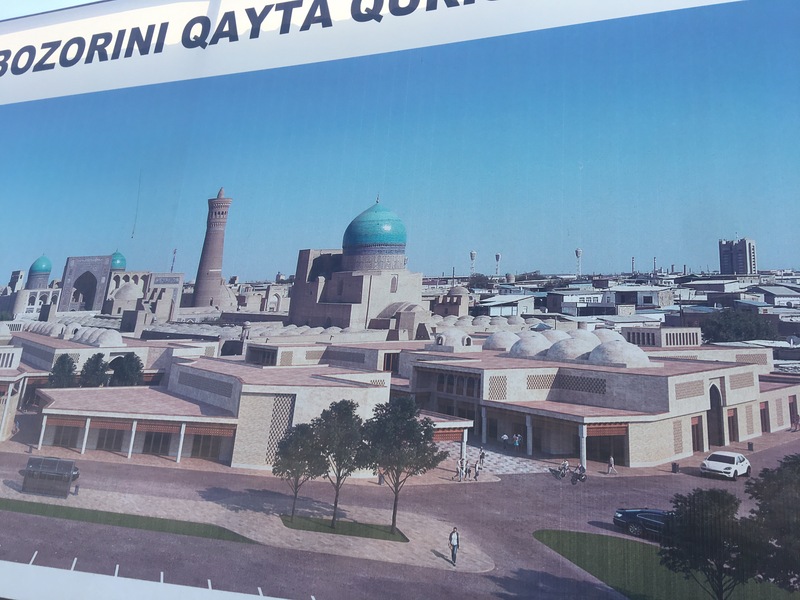 There is an eagerness I feel about building a city that represents Uzbekis. All of my guides have served during the Soviet occupation when religion was banned and all work was for the State. There were no independent businesses. Religious monuments were destroyed by the Bolshevik Revolution in 1920. No efforts were made to preserve or nurture arts and crafts, which had made Bukhara the crowning glory in the Silk Route. “Restoration takes a lot of money, you see,” my guide says. Indeed it does. Rich in natural gas, it is trading with Russia and China who in return are pouring in money that is being used for restoration. But what is Uzbeki style? Giving people their identity and carving out an “Uzbeki style” seems to be the primary need of the hour. 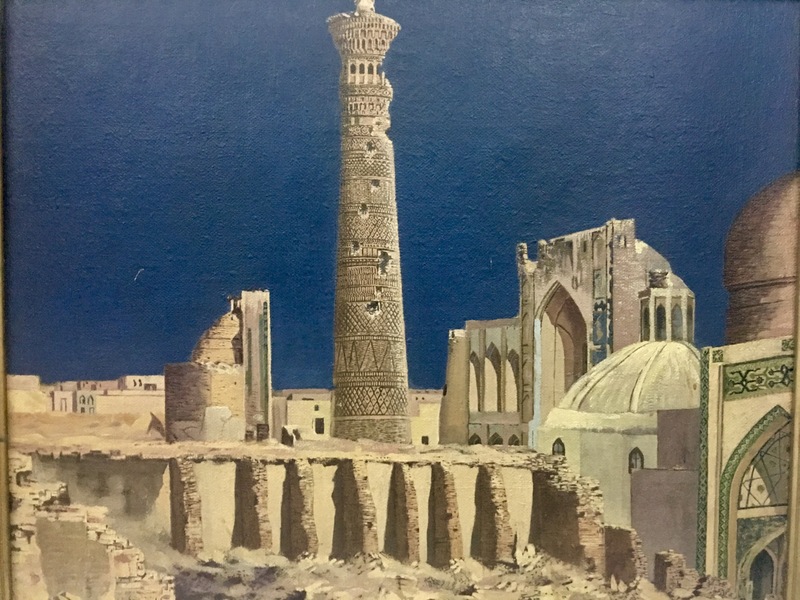 Bukhara is not alone in seeking to re-establish its identity; I found that much of the country was in a similar state of mind and Bukhara was but a microcosm of the larger plan. Most of my guides stop in places that sell handicrafts, admiring them, encouraging me to take home something that is handcrafted by Uzbeks. 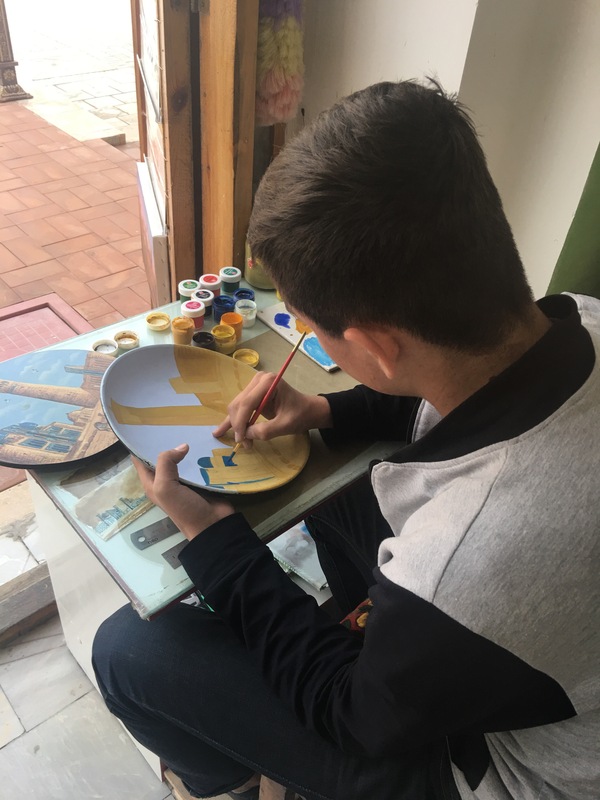 In any other country I would think there was a lure of commission hidden in the guides’ motives but in Uzbekistan, it is to rekindle the love for all things beautiful that was once the country’s heritage. Whether the country will become like Japan where craft is elevated to the highest level and rewarded generously, needs to be seen. Bukhara is a small city. It was the capital of trade, culture and religion for years before Samarkand rose to prominence. A part of Turkmenistan was once a part of Bukhara and carpet weavers came to sell their carpets in Bukharan bazaars. The city’s significance along the old Silk Route also brought many other craftsmen – metalsmiths, wood carvers, jewellers, miniature painters, embroiderers, musical instrument makers, potters, ceramicists, even builders, traders, imams, students, architects, vendors and weavers to the city. Imagine in its heydays when Bukhara would have been the hub of global trade along the Silk Route and the kind of place and position it would have occupied before the emergence of cities like Rome or Athens. Imagine the hive of activity its bazaars would have been where merchants from so many nationalities would have rubbed shoulders with one another, and craftsmen, vendors and traders waited eagerly for a good bargain. Today, in the age of all things industrialised, craftsmen sit at their desks, painstakingly creating their works of art. Dil ba yoru; Dast ba kor, lhe Sufiana philosophy, meaning: “heart with god and hands at work”, best describes the way all Bukharans live by. 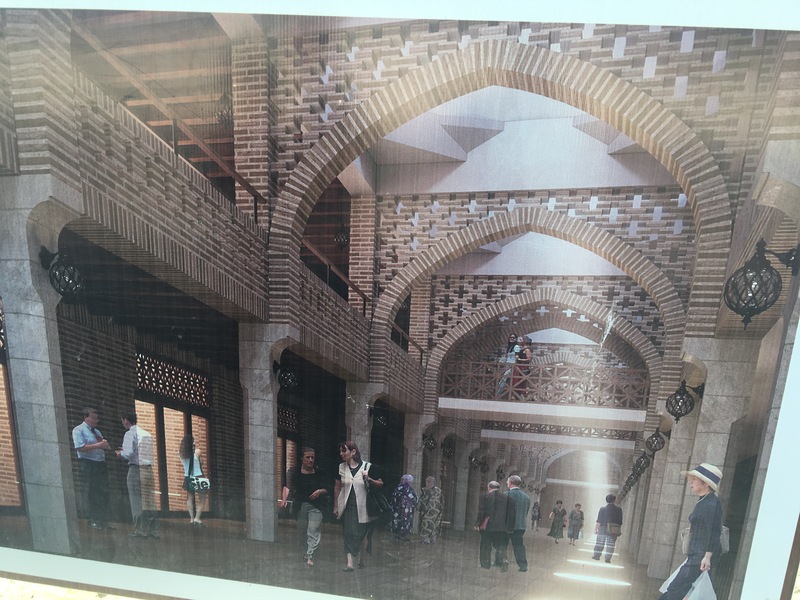 From the construction frenzy I saw in Bukhara and plans for new kinds of shops on building sites, they seemed to me somewhat of a Dubai-ed version of shopping experience. It made people incredibly proud; I on the other hand, felt a sense of loss. “We want to be modern,” explains my guide. At the same time, she hopes that the country does not fall prey to radical Islam like Syria and Afghanistan that will derail the efforts made towards progress. Religion forms the most significant part of that lost identity. The absenteeism of religion for years has had its impact on many countries in the former Soviet bloc. In the West, countries like the Czech Republic have completely abandoned religion following independence. 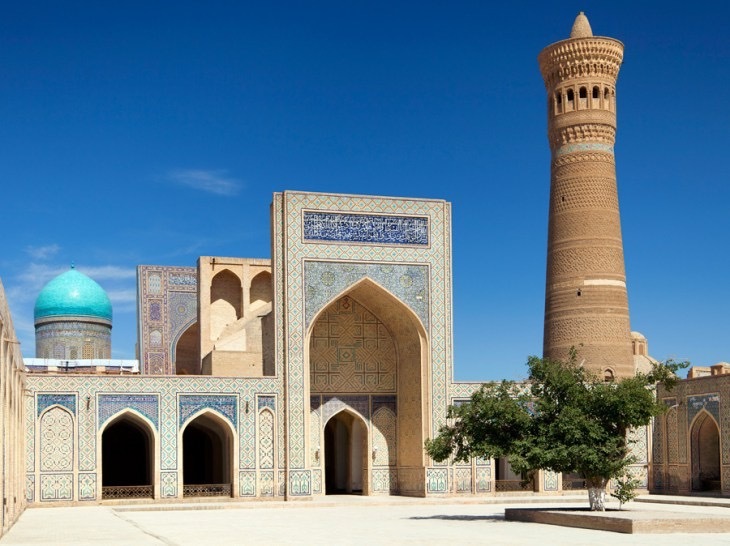 Uzbekistan has adopted a secular form of Islam, intertwineded with local beliefs of fire worshippers and Zoroastrian faith. I even saw Swastikas on mosque doors and tile work. “They represent the forward movement of all things,” says my guide. A part of rebuilding identity has also led the country to adopt the Timurid leader, Tamerlane as their national hero. Uzbekistan is also slowly claiming the Indian ruler, Babar as its own too. For mild-natured people that Uzbekis are, who denounce the trail of destruction left behind by Ghenghis Khan when he invaded the country, adoration of Tamerlane who left some 17m dead, seems misplaced. But hey, in their quest for a collective identity, the conqueror who was feared may seem to be better suited as a national hero for a country that was repressed, surrendered its identity to the “Red Russians”, and was expected to conform to the ideologies of Marx and Lenin. 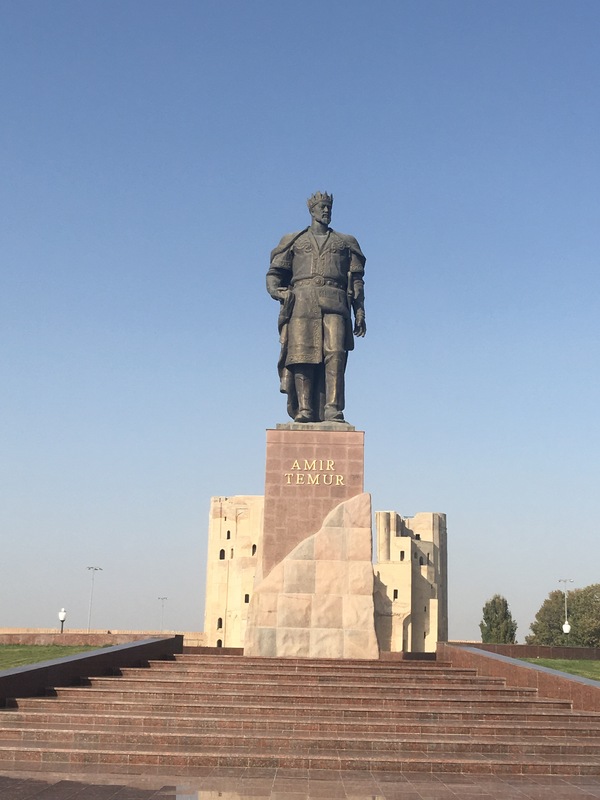 Only 26 years old since attaining independence following the dissolution of the USSR in 1991, Uzbekistan is young with heritage that is ancient. Because of its neutral position and historical connections, Uzbekistan has good relations with Turkey, Russia, China, India, Ukraine, Iran, Israel and Saudi Arabia, as well as western countries of Spain, the USA and Germany. It is also blessed with good weather (some 260 days of sun) that puts fresh food on people’s tables – from wheat, grains, rice, fruits, vegetables and cash crops like cotton. It’s wide open roads, very few homeless people, good education and healthcare system are almost comparable to any first world country. The country is also the most visited among the 5 “stans” namely: Tajikistan, Turkmenistan, Kazakhstan and Kyrgyzstan, making it the “Pearl of the Orient“. It seems, it has pretty much everything going for it. All it needs to do, is find its lost identity. It’s really a great and helpful piece of info. I’m happy that you simply shared this helpful information with us. Please keep us informed like this. Thanks for sharing.